After many years of coming to the Fringe, Barbara Nice knows the frustration of not being able to find the right show for you. That’s why she came up with Barbara’s Box Office. Audiences pitch in the elements of their perfect show and together we make that show. In 50 minutes. In a yurt. Can it be done? ‘Course it pigging can! New event comedy idea premiering for one week only! Bespoke DIY designer festival entertainment. 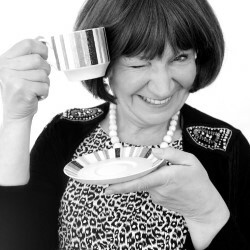 Created by award-winning comedian and theatre-maker Janice Connolly as Barbara Nice.